a small town downtown (St. Catherines). Proformas were developed for a residential and an office building in each location. Building types tested varied to reflect what smart development might entail in the different contexts, but in each case "pushed the envelope" compared to current typical development in those locations. For example, in every case, an underground parking component was assumed (and was therefore assumed as a direct project cost), which is not typical in these contexts at present. The overall finding of the analysis was that the cost structure of the project was not a particular problem, but that demand for these types of products at these locations was perceived to be weak.15 In other words, similar projects with similar cost structures might be viable in other parts of the Zone, where demand was stronger, but in these locations there was insufficient demand. The Royal LePage report is attached in Appendix B. With respect to the residential market in suburban and small town contexts, smart development is competing against very affordably priced grade-related housing, such as singles and townhouses. It is extremely difficult to deliver multi-unit housing in these locations at a price that is competitive with grade-related supply. As one developer put it "townhouses are a tougher sell when a detached house can be had for $199,999". The same can be said (even moreso) for multi-unit buildings. Similarly, adding structured or underground parking to an office building adds costs which competing buildings with surface parking do not incur. The underlying economic issue is that saving land by building denser building types does not result in significant cost savings, as land costs in the suburban and exurban areas tend to be very low. Thus at current price levels, land costs are not a particularly significant factor in the development cost structure. On the other hand, construction costs associated with building more densely are often significantly higher than for low density forms of development. At $10-15,000 per stall for one level of underground parking, and $20-25,000 per stall for additional underground levels, the cost of underground or structured parking, for example, can add significantly to the cost of a project. Here the underlying economic issue again goes back to the price of land: in these locations land is far cheaper than structured parking. As a result it is significantly cheaper to provide a surface parking space than a space in a structured or underground facility. This analysis suggests three possible approaches to supporting smart development in strategic suburban and exurban locations, addressing both the demand and the supply sides of the economic equation. 1. Reduce smart development project costs. Most hard and soft construction costs are unavoidable inputs to development, and comprise the most significant proportion of overall project budgets. Along with returns to the developer, these project costs are largely inflexible, and are the primary drivers of the required sale price or rent needed to make the development feasible from a financial perspective. However, there may also be some Ontario Building Code regulations that hamper smart development. Many developers have espoused the view that medium height, medium density buildings in particular (in the 3 to 8 storey range) cannot be developed at competitive prices due to building code requirements (e.g. the need to move to concrete construction, need for elevators, etc.). While the life, safety and accessibility issues are of course recognised, many have expressed the view that more cost-competitive alternatives could be investigated, in which hard construction costs can be reduced. However, the most significant impediment to achieving smart development is parking. Large areas of surface parking are at odds with achieving compact, smart development. Yet structured or underground parking accounted for 8% to 16% of costs for projects analysed. These costs are the largest project cost component that can be effectively addressed by public policy, planning and governmental initiatives. Strategies that reduce the amount of parking provided (e.g. reduced and more site-specific standards, shared use of parking facilities, provision of transit), can help reduce project costs and promote higher building coverage. These strategies can be implemented by municipalities as part of the planning for smart development at strategic locations. Even better, municipalities can remove the cost of parking from the developer's cost sheet in compact nodes and other strategic smart growth locations by providing parking themselves through municipal parking authorities. This approach is currently being pursued by the City of Markham in Markham Centre, for example. Parking strategies are addressed further in the next section of this report. These actions addressing the provision of parking are the most significant actions municipalities can undertake to improve the economic viability of smart development in strategic suburban and exurban areas. They could have a significant impact on the cost structure of smart development. The other major lever at the disposal of municipalities that could improve the cost structure of smart development is municipal fees and related charges, such as planning processing fees, development charges, and parkland dedication. Together, these charges accounted for 2% to 7.5% of costs of projects analysed by Royal LePage. As described more fully below, municipalities often inadvertently overcharge smart development compared to less efficient development (e.g. large lot single detached homes) as a result of the way development charges are currently structured in most municipalities in the Zone. Municipalities should review carefully how their development charge structure treats more efficient, smart development at strategic smart growth locations. The development charge should, at minimum, present a level playing field, in which charges reflect actual costs incurred by different types of development in different locations across a municipality - in other words, a "true-cost" based development charge. A municipality could also choose to actively incentivise smart development in strategic locations, by waiving development charges and planning application fees, for example, in order to jump start development. The Royal LePage research suggests that parking and municipal fees are the two significant levers that can improve the cost structure of smart development to make it more competitive with conventional development. Together, these elements were found to account for 10% to 24% of smart development project costs. As already noted, the competitive context smart development faces is a key consideration. Under current conditions, the prices of smart development in suburban and exurban locations do not differ sufficiently from the prices of more conventional, grade-related dwellings such as single detached houses or townhouses - again, the issue of the $199,999 single - or even the $149,999 row house. Smart development must either come with a significantly lower price than these offerings, or offer a higher level of amenity (e.g. a better urban environment, easy access to high quality transit, a good walking environment, a high quality building with amenities). One of the reasons that the price differential between smart development forms and grade related housing is not as great as it should be again goes back to the structure of development charges ("DCs")in most municipalities within the Zone. Because the charge is based on average costs, it means that, by definition, some developments will be overcharged and some will be undercharged (except in the unlikely event that every development costs exactly the average cost). The more efficient, least costly types of development tend to be overcharged (e.g. smart development), while the less efficient and more expensive types of development tend to be undercharged (e.g. large lot singles, certain forms of retail). This is the case primarily with respect to hard services such as roads, transit, water and sewers, the costs of which are known to vary with density, type of development and location. Thus the development charge tends to create an incentive to less efficient development, and overcharge smart development (see Box for a more detailed description of how this occurs). The overcharging of smart development has been noted above as contributing to the higher cost structure of smart development, and a true cost-based charge has been proposed to address this. All other things being equal, a true-cost-based DC would result in the prices of more efficient development being lowered. Assuming DC costs are passed along and reflected in house and commercial development prices, under a true cost-based charge, the price spread between smart development and inefficient development would become more significant - the price of smart development would go down, and the price of inefficient or more costly-to-service development would go up. Both sides of this equation must be addressed in order to create a level playing field, putting smart development on an even footing with competing development. Rationalising the cost structures of smart development versus competing development will (all other things being equal) affect pricing in a way that makes smart development more price-competitive and attractive to the market. This addresses the supply side of the economic equation. Other actions could be undertaken by municipalities and the province in order to further stimulate demand for smart development. As noted above, creating a better urban environment for smart development to take place in could add significantly to the attractiveness of this type of development and stimulate demand. Municipalities could ensure that the environment created at their strategic smart growth locations is of the highest quality, with excellent urban design, a walkable environment and landscaping, human-scaled streets and generous sidewalks, a mix of uses and grade-level retail, locating municipal facilities such as recreation centres or high schools in these nodes, and finally, delivering good quality transit service in advance or in tandem with development. Initiatives aimed at improving demand for smart development can be supported by public education, as well as municipal marketing of the strategic centres. If smart development is to be achieved outside the older parts of the Central Zone, all three approaches and related actions will need to be pursued as a basic condition of ensuring the economic viability of these projects. In addition, a number of other obstacles to smart development have been identified. These are described in more detail in the following section. Based on unit type, the development charge for a detached home is typically the same on a small lot or a large lot, even though the small lot tends to contribute less to servicing costs. 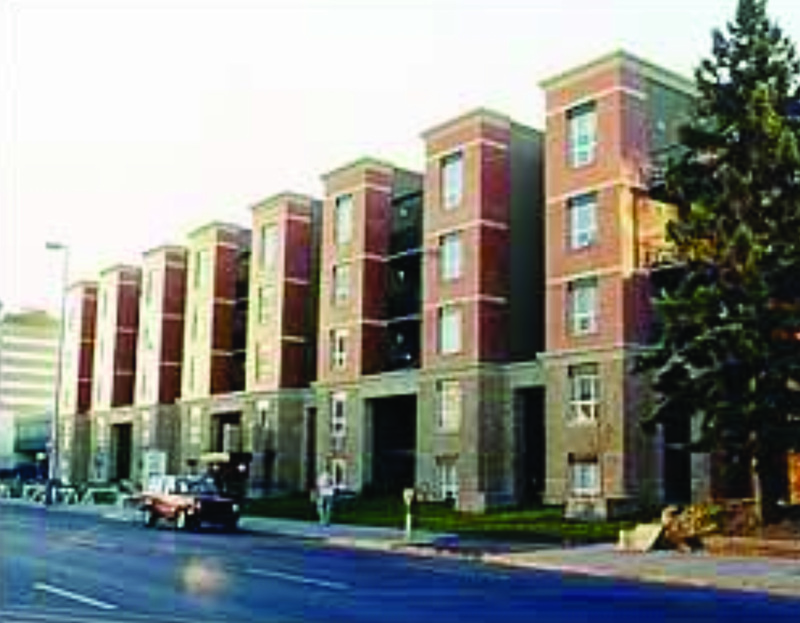 In some municipalities, townhouses are charged the same DCs as detached houses, even though the townhouses tend to contribute less to servicing costs. For non-residential uses, DCs are charged according to the amount of gross floor area built, providing a disincentive to build more floor area and therefore more densely and efficiently. For non-residential development, uses that tend to contribute significantly more to infrastructure costs pay the same rate of development charge as uses that incur lower costs per square foot of floor area. Some retail uses, for example, precipitate ten or more times the auto trips per square foot of floor space per hour than office uses, contributing to higher road needs, but typically do not pay a higher charge. Charges typically do not vary by area within a municipality even though costs typically do. As a result there is no incentive for developers to develop less-costly-to-service areas first (e.g. already-urbanised areas, areas closer to existing services, areas with lower servicing costs due to site specific conditions such as topography or hydrogeology. 15. One exception was the suburban city centre 12 storey office building, for which current market rent levels were well below economic rents required. 16. Though not likely by as much as the charge for smart development would go down.